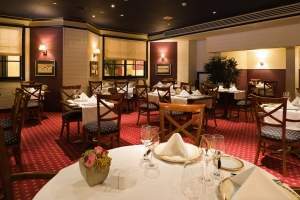 Hotel Bristol Stephanie, Avenue Louise 91/93, 1050 Brussels, Belgium. 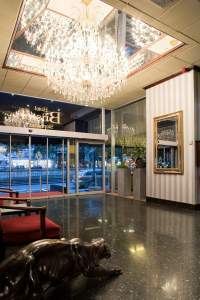 Hotel Bristol Stephanie is located in one of the liveliest area in Brussels, on the trendy Avenue Louise – a young, multicultural and artistic locality – Thon Hotel Bristol Stephanie is ideal for both businessmen and tourists. 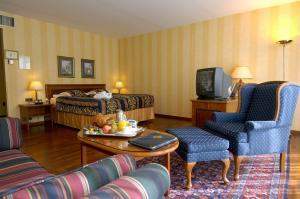 The rooms are amongst the biggest of Brussels and combined elegance and comfort. The Sablon square, famous for its antiques and the historical centre are easily accessible by walk. Bristol Stephanie is ideally located for both business and leisure travellers. The hotel offers an underground garage, yet another advantage in a busy city. Brussels Airport is 13 kilometres away and Midi railway station (Thalys, Eurostar) is 2 kilometres away. 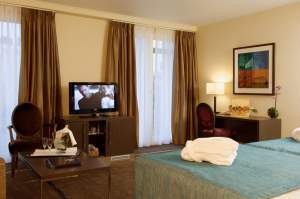 The Hotel Bristol Stephanie possesses 142 bedrooms, the largest in Brussels, combining elegance with spacious comfort. 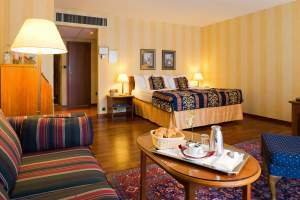 The hotel offers two types of totally renovated rooms : the "Classic" or standard rooms and the "Executive" or deluxe rooms. 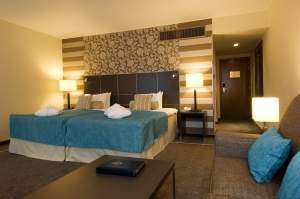 Several rooms feature a fully equipped kitchenette, the ideal solution for guests who wish to stay for a longer period. 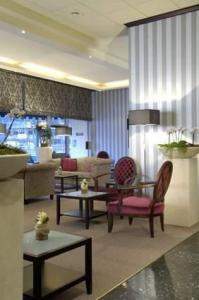 The hotel also offers rooms reserved for non-smokers where anti-allergic materials were used in decorating. The carpet in these rooms has been replaced by a wooden floor. 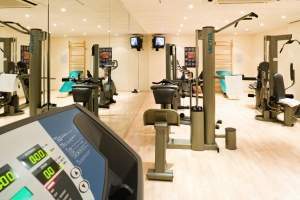 All rooms are equipped with air conditioning, tea and coffee making facilities, trouser-press, iron and ironing board, cable and satellite television, in-house video, minibar, large bathroom with separate toilet, hair-dryer and telephones with modem and fax plugs. The restaurant Le Chalet d'Odin and its awarded Chef offer a French, innovative and refined cuisine prepared from the best of fresh produce, but also temporary culinary festivals and special events. In the bar Stefany’s, the bartender will be delighted to prepare the clients’ favourite cocktails from Belgian and international beverages. Young, multicultural, artistic and trendy, Ixelles is still one of the liveliest localities in Brussels. Thoroughfares of shops and stores and perfectly-sited outside tables happily coexist in the mix of local community atmospheres. In the middle, the Saint-Boniface district, loyal to its good food establishments in unfailingly original settings, borders on the highly colourful Matongé quarter. Its inhabitants, who are mainly Africans, open up their doors and sunny terraces.